Teen bulimia nervosa is one of several common eating disorders among adolescents and teens. Teens suffering from bulimia will binge eat, then purge through vomiting or the use of laxatives. 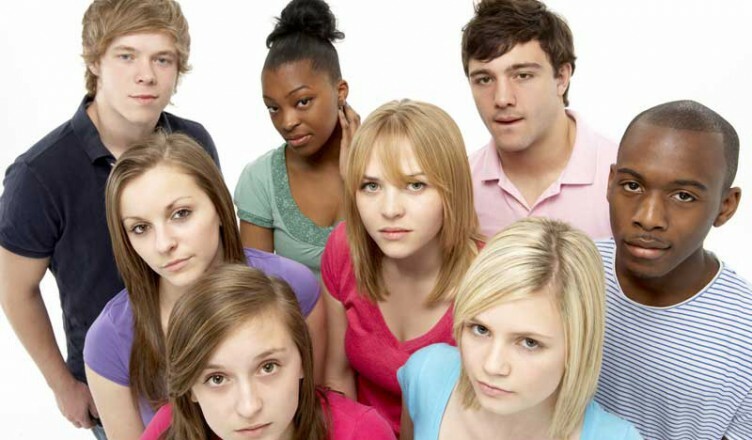 Unlike some teens suffering from eating disorders, bulimic teens may appear healthy, and seem to have their lives in control.Teen bulimia is an illness, however, that can cause serious health problems or death, so teens with bulimia need to get medical treatment to recover from their eating disorder. Because teen bulimia is often associated with feelings of shame or guilt, and teens with bulimia often appear to be fine, teen bulimia may go unnoticed and undiagnosed, so the picture of teen bulimia is still incomplete. The following statistics represent what researchers currently know or estimate about teen bulimia. Up to 30 million people in the US suffer from an eating disorder. Most people with bulimia develop it while in their teens, but people as young as 5 and as old as 60 have been diagnosed with bulimia. In one study, by the first year of college, between 4.5 to 18 percent of women reported having struggled with bulimia, and about .4 percent of men. Many researchers are concerned that young people are developing bulimia even earlier – adolescents between 8 and 11 are being diagnosed with bulimia more frequently. Teen bulimia is most common among teen girls, but about 10-15 percent of teens with bulimia are boys, and teen boys with eating disorders often go undiagnosed and untreated. Teens of all races can develop bulimia, but the majority of teens who are diagnosed with bulimia are Hispanic. 95% of those with eating disorders are between 12-25.8 years old. 25% of college-aged women try to control weight by bingeing and purging. While teens on average eat 2,000 to 3,000 calories a day, a bingeing teen may eat over 3,000 calories in an hour. Binges may last many hours, and the teen many consume over 10,000 calories while bingeing. Teens with bulimia may spend $50 or more on food per day, and some teens shoplift to get food for their binge. Approximately 50% of people with an eating disorder also suffer from depression. About half teens with anorexia, which causes them to starve themselves, also suffer from bulimia. Doctors have reported that about one-third of teens with bulimia also shoplift, and about one-quarter have other addictions, such as alcohol. Teens with bulimia respond differently to different types of therapy, such as group therapy, behavior modification, and nutrition therapy. Effective therapy usually lasts at least a year, and is generally outpatient unless the case is very severe. Teens who are treated early have a better chance of recovery. Between 5 and 20 percent of teens with bulimia will die because of the disorder. Teens with bulimia need medical treatment without delay so they can recover from their eating disorder. If your teen may have bulimia, seek help immediately. Teens with bulimia should be treated by doctors, mental health professionals, and dietitians. Individual therapy is necessary to help the teen learn better eating habits and a better attitude about food and body image, and family therapy can help the teen to have a supportive environment during her or his recovery.